Cats aren't typically thought of as the most chivalrous of pets, seeming more apt to nap in the face of adversity than to lend a helping paw. But inside even the coolest-headed of kitties, there could be a furry superhero just waiting to reveal herself. 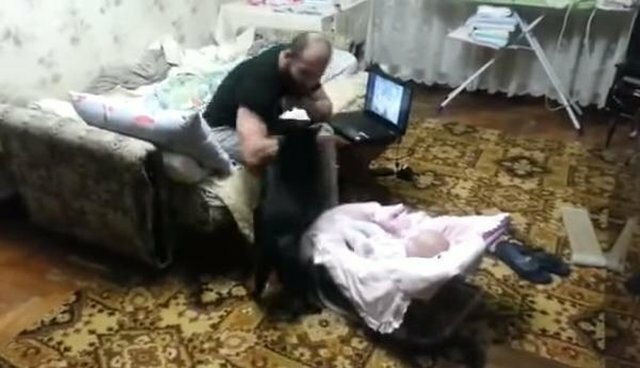 In a video uploaded to YouTube this week, a very protective cat can be seen potentially risking her own safety by trying to prevent a Russian man from playing too roughly with a baby. 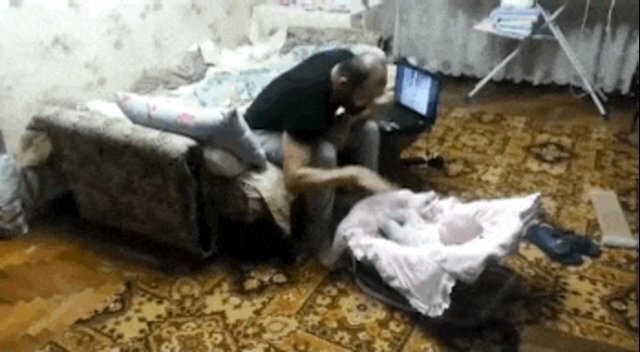 Although it's clear that the infant was never in real danger (since the man appears only to be slapping his hand near her), the fastidious feline wasn't willing to take any chances. Like a gallant little panther, the cat hurries in and pounces upon the man's arm to stop him. Despite being pushed back several times, she doesn't relent. After her more gentle efforts fail, the hero cat finally resorts to using her claws - and appears to have successfully brought the indelicate playtime to an end. 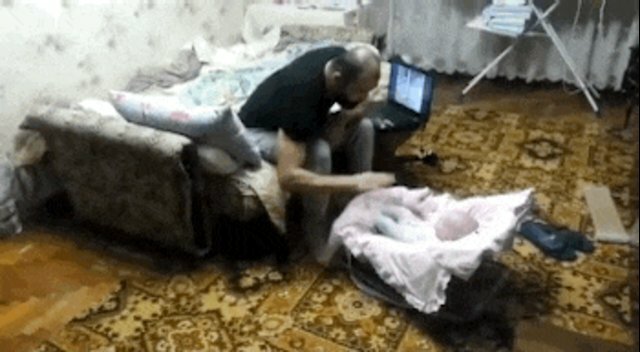 Now, back to that nap.